Ukraine is the largest provider of deck and engine officers for Marlow Navigation. Our engagement here regarding the training of seafarers and recruitment of cadets has taken a slightly different direction when compared to the Manila Training Centre. 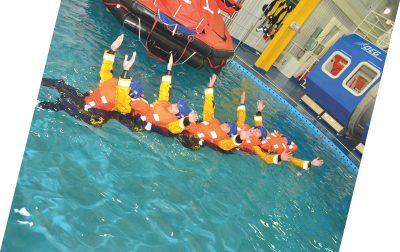 In addition to extensive in-house training activities which we offer via our Ukrainian agency network, close co-operation has also developed with the Kherson Maritime College since 2005, known today as Kherson State Maritime Academy (KSMA), as well as with Kherson Maritime Specialized Training Centre (KMSTC). Curricula and lessons at the academy are adjusted to better suit the demands of the modern maritime industry. Furthermore, Marlow selects students to join the company after their second study year as cadets. These students continue their studies in designated Marlow classes and return to our company when they have graduated as officers. 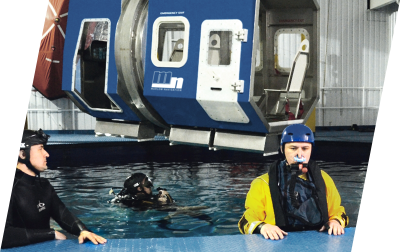 To further improve education and training, we have furnished the academy with modern training equipment, such as a fast rescue boat, a free-fall lifeboat, a heavy lift simulator, and a modern offshore training centre. This equipment is operated by a designated training centre (Kherson Maritime Specialised Training Centre - KMSTC) and provides additional courses for company cadets and seafarers from the region. 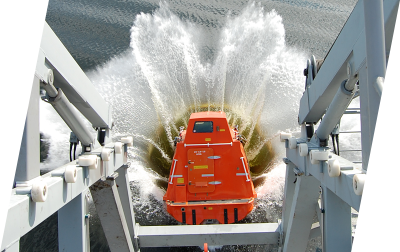 Training on offer includes courses for various topics, including basic safety, free-fall lifeboats, heavy lifts, and crane driving, as well as specialised offshore training, such as BOSIET, HUET, FOET and other OPITO accredited courses. In 2017, KMSTC was chosen as a finalist in the category “New Generation”, as part of the OPITO Safety and Competence Conference (OSCC) 2017.